Local bartenders are mixing up cocktails perfect for sipping when it’s sunny outside. There’s no doubt that artisanal cocktails are still all the rage in Edmonton. These days, you can find an old-fashioned or a Pimm’s cup on nearly every menu in the city. In the heat of July, as lighter flavours such as vodkas and fresh fruits take the spotlight from spices and smoke. 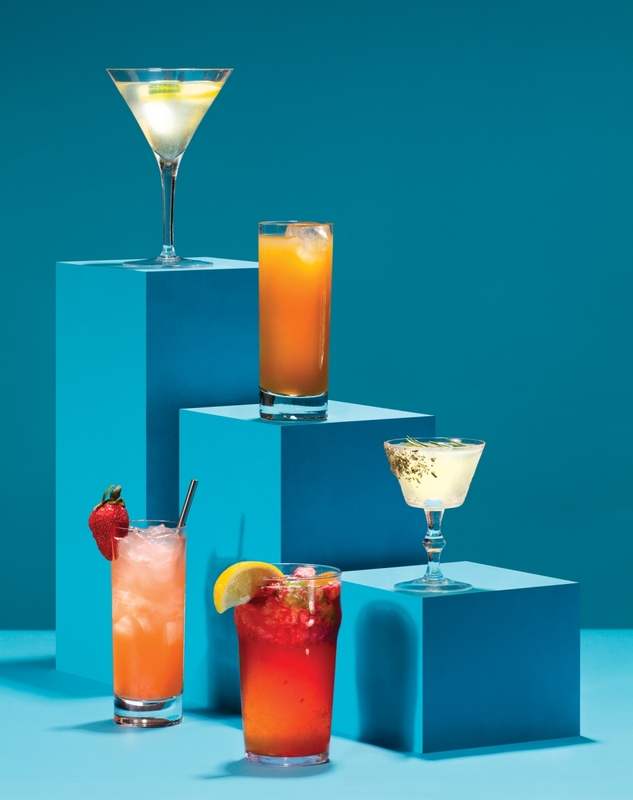 With the sun comes cocktails that are vibrant, bright and cool. 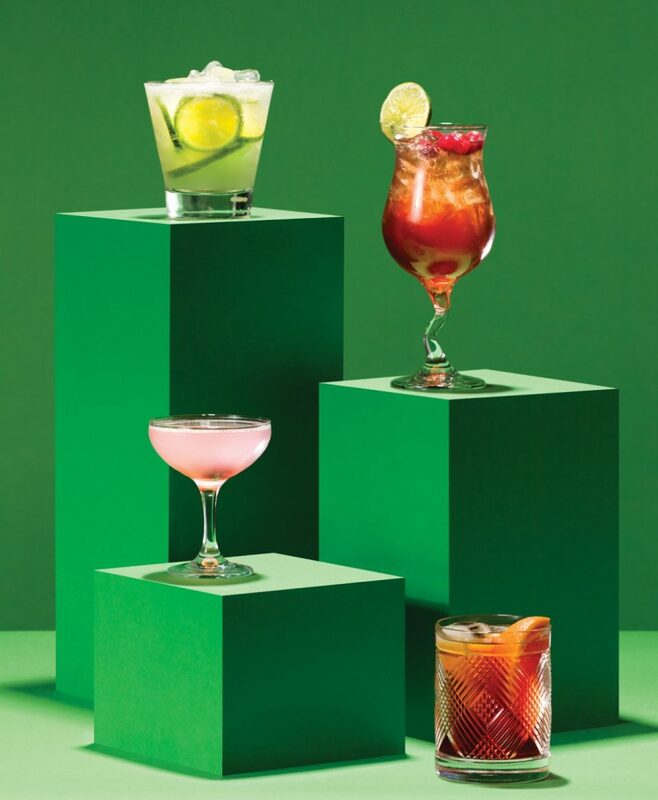 This summer, Avenue has found nine such cocktails that are must-tries. Pampa has an extensive selection of caipirinhas on offer; there are a variety of tropical fruit flavours. The fruit is muddled and then served with Brazilian sugar-cane liquor (cachaa) that is similar to a white rum. I am not a big “flavour option” person. I don’t like “martinis” that are fruity drinks served in martini glasses. So, after I go through all the fruit options, I choose the lime version. It’s the basic caipirinha. According to bartender James Grant, The Rusty Bicycle (Woodwork’s inventive twist on the Negroni) is one of the bar’s most popular summer cocktails. I was skeptical about this at first. After all, this is the lowest proof cocktail on Woodwork’s list, and my belief is that a great cocktail always provides a bit of a kick. But one sip in and I was converted. The drink has an elegant bitterness to it. It’s not too forward, but it’s definitely there. Did you love pink lemonade as a child? Do you still love it now? Well, this popular drink at The Common plays on that. The bright pink concoction comes with the dark red cherry submerged. The ingredients are shaken together, with ice, then strained into the coup glass. It’s one of the establishment’s more popular offerings, and it’s easy to taste why. One and a half-ounces of gin are cleverly disguised by the lemon and syrup, which gives it the pink tinge. The lavender is very, very subtle – and the flavour is consistent to that oh-so-delicious stuff you can get from the concentrate section at the supermarket. Natural ingredients make for a racy take on an all-time favourite; but, be warned: These go down real easy. Whether you’re inside among the cozy chairs and wood paneling or outside on the patio taking in the stunning views of the North Saskatchewan River valley, the Confederation Lounge at the Fairmont Hotel Macdonald is one of the classiest places to grab a cocktail in Edmonton. And one of the classiest cocktails on the menu there is The Mac’s Sensational Ice Tea. Careful – in true ninja style, the Gingja Ninja at Kelly’s Pub will sneak up on you. It’s a shot of vodka in a pint glass with muddled raspberry, lemon and lime on ice, but it’s also a ginger beer in disguise. The final bit of this summer cocktail is an entire bottle of Crabbie’s Ginger Beer. It’s good value, because it’s like getting two drinks at once. And the tartness of the raspberries tamps down the sweetness and the spiciness of the ginger beer, making this a great drink to enjoy on the Kelly’s patio. And while the Ginja Ninja is refreshing – more refreshing than what you might think you could get at an Irish pub – it still packs quite a kick. –G.C. If James Bond was ever dispatched to Japan again (like he was in You Only Live Twice), he might order something like the Saketini at Ikki Izakaya. Under a hazy Tokyo sky in the heat of summer, this drink would be a refreshing twist on a classic cocktail. The Saketini is crisp and clean, with little aftertaste. It’s not weighed down by sugary syrups or purees. The freshness of the cucumber and the acidity of the lemon help cut through the sake, which can be astringent on its own. The cucumber, with the skin left on as it’s mixed in, gives the drink just a slight bitter note that only adds to its refreshing qualities. –G.C. This cocktail is a Black Pearl original. And it’s a true testament to the bartender’s black art. Scotch and gin meet in a small coup glass; but, when you take a sip, there’s absolutely no alcohol punch to the mouth and throat. While the bartender’s job isn’t to hide alcohol, it does take something to remove the fire-water feel. The key is the smoked honey. Just like a lemony throat drop is great for the cough, the honey acts as the softener in this drink. And, at the end, thanks to the rosemary, there’s a bit of a pine finish. It’s very slight – and it’s very pleasant. Putting this cocktail together with a plate of fresh oysters is a great way to start the evening. In fact, it’s incredible how well the lemon and honey in the drink go with the shellfish. –S.S. You won’t find a cocktail that so closely resembles the trending cocktail sensibilities of Los Angeles than in the Zen Garden. This mix of Mexican and Japanese influences – made with Tequila and the surprising inclusion of wasabi – is about as modern a cocktail as you’re likely to find. I can’t say that this is a liquor-forward cocktail – and that’s not a bad thing. This is a cocktail that’s more of an exploration of flavours. A quick kick of tequila hits the palate almost immediately, but it’s quickly supplanted with the flavours and aroma of smooth strawberry and citrusy lemon. And just when you think all is well and you are safe, the drink gives you one last surprise with the wasabi finish, giving a little extra kick and spice. It heats you up and cools you down, and keeps those tastebuds popping. –C.H. Sami Elber can sum up his feelings on his establishment’s Philadelphia Fishhouse Punch in just a couple of words. What do you look for in a summer cocktail? S.E. : We want refreshing flavour profiles, nothing too dark and heavy on earthy tones. We want lots of citrus, easy to drink, and still affordable. With what food item on the menu would you say it pairs best? S.E. : I would definitely have it with the calamari and panzanella salad. It’s phenomenal. It’s how I’ve always wanted calamari done; I’ve just never found it in a restaurant. –G.C.